Parlynet is the information technology software which is used throughout the state and links the entire major functional elements of the Victorian Parliament. In June 2002 it was decided to upgrade the software, the project was known as Parlynet 2002 Project. It was rolled out in November 2002, few months after the implementation, the complaints regarding the speed and the performance of the Parlynet. Therefore, the audit was done to check the fault in the system. The Parlynet 2002 Project was not successful due to the shortfalls in the project management. Therefore the identifications have been made on the parts of the projects which have either been neglected or poorly managed. The identified areas are project integration, scope of the project, cost involved in the project, time, quality of the project, human resource of the project, communication in the project and also the project’s risk management. Below is the detailed analysis of the project and also how the situations have been saved. Project integration is the process which involves the coordination with all the knowledge areas. It is very important to have good project integration in order to have a success in the project however the project integration was missing in the Parlynet Project. The project was just started without any planning and project integration is the important part of the planning. The project integration involves project charter, project management plan, project execution, monitor and control, perform change control and last close the project. (Tesch, Debbie, Timothy Kloppenbourg and John Stemmer. 2003) Except project execution, none of the other tasks were performed. The project charter is important as it involves the project background and justification of the project. It also outlines the roles and responsibilities of the project manager and project sponsor, which were missing. The IT manager along with the steering committee should have planned a project charter before the start of the project as it would have helped them in gaining the direction of the project and also understanding the outcome of the project. Scope of the project is the work involved in creating the products of the project and also the processes for the same. ( Armstrong, Dan. 2004). In Parlynet Project the scope was not defined clearly. 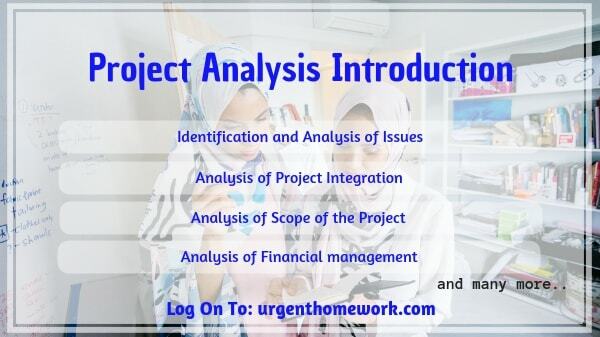 The project scope includes what all to be involved and what not to be involved however the Steering Committee did not restricted the scope and had lot of segments involved in the project because of which the project became very large. The project was started without the clear understanding of the requirements in the project and also the involvement. A good project Scope management will involve project charter, requirement documentation and policies and procedures related to the scope. However, as mentioned earlier, all these points were missing. In fact the project scope statement was not made at the planning stage. The scope statement should have been made which would have included realistic scope which would have been completed successfully or the bigger task should have been broken into smaller projects (Nicholas, J M. 1989) and involve the users in the project team to help the project team make realistic and achievable goals. Also the meeting which was just conducted once should have been done more frequently so that the better understanding the scope statement was made more specific and clear. Appropriate financial management was another concern of the shortfalls happened to the project. This is due to the negligence from the Steering Committee side, as they did not track the funds and their proper usages during the project. Though the budget was allocated to the project yet the project crossed the budget and was short of 1.664 million dollars, which was then given by the parliament under exceeding pressure. The problem was the weak policies and procedures made for the parliamentary usage. There was not one person to authorise the deals and procurement of materials required. Also, the deals were made without referring the funding budgets. As per the report; deals have been signed and approved by unknown people and also not from the steering committee. Also the deal was signed with the contractor without going through the process of tender. This would have been avoided if the clear responsibilities were allocated to the steering committee, project sponsor and also the project manager (Posner, B . Z. 1987). The detailed financial report should have been made monthly, to check the fund available and how to manage them. (Burke, R. (1998). All the project deals and requirements should have gone through the process of tender so that the best available rates have been made to the project. The completion date for the project was November 2002 however it was completed and rolled out by the end of January 2003. This happened because of the elections which coincided with the project in November 2002. The decision to start the project just before the election was the wrong decision as it created disturbances to the work in the electorate office and also in the parliamentary departments which adversely affected the delay in implementation of the project. Since the Steering committee knew the forthcoming elections, they should have waited for the elections to go over and then would have started with the process of up gradation of Parlynet. This happened because of the poor project planning by the committee and the sponsor and also the project manager. The whole problem in the project has aroused because the project that was completed was not up to the mark. The users faced troubles because of the speed of the system, reliability on the system and also the functionality of the system. This was known due to the survey done among the users of the systems. Other issues with the system were the long log in times, security of the system and delay in access to the electronic files. The contractor of the project had planned the testing for Parlynet 2002 project; however the testing was not done due to the pressure to roll out the project. It is imperative for any project to go through the process of pre roll out testing so that in case of any performance issues they can be changed or rectified. The failure of testing the system is the main cause of systems not performing as per the standards. The project team should have made sure that the testing happens on the system (Gobeli, D., & Larson, E. (1987). Also the project team should have users of the system, who would have told about the shortfall of the systems before the roll out of the project. The poor role of the human resource was sighted in the project. Firstly, the key responsibilities were not divided among the project team handling the Parlynet 2002 project. They were not told about the duties and also the team made was not up to the mark. Secondly, there was no systematic reporting to the hierarchy therefore all followed their own ways. Thirdly, the IT manager resigned in June and the HR department did not recruit anyone and his absence project sponsor acted as the IT manager and all the pertinent decisions he took alone. These decisions should have been taken in the consultation with the new IT manager as he would have been knowledgeable and experienced in the field. Fourthly, since the IT staffs were not skilled enough to handle the vast change and the implementation, the department should have hired the new experienced team before the roll out of the project. The team would have been in the position to train the users on the new applications. Lastly, the people who were supposed to use the system were not trained adequately due to which half of the problems raised. It was informed by the contractor that the new application would require in depth training and also skilled people to train however this point was not take seriously by the project team. The human resource department along with the project team should have forecasted the need and requirement of the skilled staff and also the training. It is vital for any project to be successful to have a proper communication at all levels. However, this was quite evident from the study that the communication did not played important role in the Parlynet 2002 project. The lack of communication between the project team and the contractor, lack of communication between the users and the project team and also the lack of communication among the project team itself resulted in the failure of the project. The contractor was left with all the communication management with the users and the stakeholders. The passing of duties was not corresponded adequately among the team members. Team members did not follow the hierarchy. Half of the decisions were taken by the people who were not from the project team. This all would have been avoided if the proper written document would have been made about the responsibilities, reporting and accountability. The communication process should have been channelized (Wateridge, J 1998) which would have given transparency in the project as well. The risk due to decentralisation of IT system. In case the project team had foreseen these risks, the project would have been successful. It is very important for any project team to do the risk analysis as the success and failure depends on the same. The project team should have made the management committee for risk analysis, who would have audited the risks at the time of initiation, execution and the post implementation. ( Baccarini, D 1999). The proper risk management plan should have been made by the team; this would have helped them to face the problems adequately and efficiently. It is vital for any organisation or for any project to follow them for the success of the project. However, it was found that the Parlynet 2002 project has not undergone this approach. As discussed earlier the project planning was missing, apart from this the team did not carried out the project initiation process also. The team straight started with the execution of the project, since the first two processes were missing, the execution did not resulted well. This was mainly due to the lack of knowledge and distribution of responsibilities to the project manager. The PM was not actively involved in the execution process. Apart from this the monitoring of the project at different level was not done and neither there was any control on the project in terms of the finances. The closing process was not carried out, where the testing of the new upgraded system should have been done and the approval should be taken from the immediate users. (Chuad, K. B., Tummula, V. M. R., & Nkasu, M. M. (1995). If the project team had focussed on all the processes, the Parlynet 2002 project would have been a success story. Once the implementation of the project is done, I will make sure that the users are well trained on the system and also on the new applications. It is important for them to undergo the training as it will hone the skills to operate the system more efficiently. Also, they will know how to operate the system and open the electronic files efficiently. Training will help the users to clear the doubts as well in case they have any. I will assign responsibilities to people in order to resolve the system problems adequately and efficiently. Since the same was not done before, due to which all the problems have arouse. It is important to delegate the work and have people accountable for the work as then only work is efficiently done. Once the people are responsible and accountable for the work then only they perform the task efficiently. I will develop the training needs that are required by the IT staff so that they are well aware upon the usage of the new upgraded system and can also help the users in learning the new system and can also be helpful in the performance issues of the system. It is important to train the staff adequately so that they can manage to check for the problem. I will also recruit new IT staff that would have experience in handling the similar kind of systems and applications as they would be able to resolve the problem quickly and will also be the extended help to the IT department. The parliament should clearly describe the roles and responsibilities at all levels so that decision making can be done more efficiently at all levels. It is vital to follow the hierarchy in terms of roles and responsibilities. The risk should be identified in the project so that they are effectively managed when required. It is very important to identify the risks so that the teams are prepared for the consequences before they happen. I will recommend that the Steering committee along with the project sponsor and the project manager should have meetings at regular intervals to check the performance and the execution of the project and also make minutes of the meeting and also note the approvals made. The financial report should be made and review should be done at the regular intervals and also all the procurements should be made by the tender process. This way the cost incurred can be controlled. All the financial decisions should be made and approved by the people responsible and accountable for the same. This ways, the unknown people’s involvement can be mitigated. The project team should develop a plan regarding the IT requirements and prioritize and time lines in order to solve the problems. At this moment solving the system issue are the most important part therefore the adequate plan should be made on solving the issues an d also the priority and deadlines should be set. I will make the Joint service department and the IT unit work together in order to set priorities for solving the problems so that the maximum problems are solved within time limit. I will develop an action plan, where I will keep the users informed about the actions been taken to upgrade the programme and also keep them updated about the actions been taken on solving the system’s problem. It is important to keep the users informed so that they are aware about the time it is going to take to solve the problem as they need the computers and laptops for their day to day work. I will engage the experienced and skilled personnel to et up the software in order to solve the problems, follow the timelines by monitoring them and also monitor the work flow of the project. I will also do the analysis of Parlynet for the network volume and the operating environment in order to check for the reasons for the bad performance of the software and also how to improve the same. In order to make sure that such problems do not occur again, I will ask the parliament to review their IT strategies so that in case required changes can be made in the same. Also, will make sure that the policies and procedures are developed in order to guide the IT department. I will also establish the benchmark for the system’s performance assessment. This would make the process easy for the information technology department. The benchmark will include the system’s performance and its availability, the networks performance, the ability of the help desk to resolve the issue and also issues related to the security of the system. The Parlynet 2002 Project was the failure due to the poor project management. If the project management would have been done, the Parlynet was the success. Many aspects of financial management, human resource management and risk management was also not followed however the analysis and the recommendations along with the justification have been mentioned in the project which would be helpful in resolving the issues and will also act as the guidelines for the next project. Armstrong, Dan. 2004. “Six Degrees of Project Management.” Baseline. Baccarini, D 1999, 'The Logical Framework Method for Defining Project Success', Project Management Journal, vol. 30, no. 4, pp. 25-32. Burke, R. (1998). Project Management Planning and Control. New Jersey: Wiley Meredith, J., & Mantel, S. (2002). Project Management a Managerial Approach. New York: John Wiley & Sons. Chuad, K. B., Tummula, V. M. R., & Nkasu, M. M. (1995). Project management structures in Hong Kong industries. International Journal of Project Management 13(4), 253-257. Gobeli, D., & Larson, E. (1987).Relative effectiveness of different project structures. Project Management Journal 18(2), 81-85. Globerson, S & Zwikael, O 2002, 'The Impact of the Project Manager on Project Management Planning Processes', Project Management Journal, vol. 33, no. 3, pp. 58-64. Tesch, Debbie, Timothy Kloppenbourg and John Stemmer. 2003. “Project Management Learning: What Literature Has to Say.” Project Management Journal. Wateridge, J 1998, 'How can IS/IT projects be measured for success', International Journal of Project Management, vol. 16, no. 1, pp. 59-63.